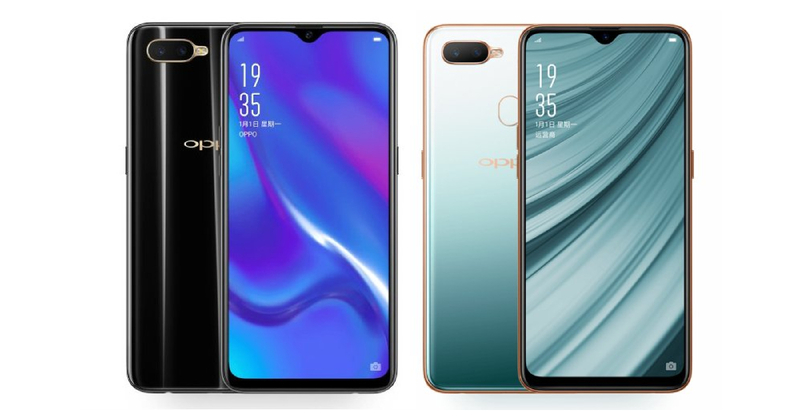 Oppo, the Chinese smartphone manufacturer has introduced the new color options of Oppo K1 and Oppo A7x in the China market. The Oppo K1 comes with a new Ink Black Color option which has joined the already existing Blue, Red and Silver Green. While the Oppo A7x gets a new Fog Pine Green Color Variant which has joined the already existing Starry Purple and Ice Flame Blue. The new variants of Oppo K1 and Oppo A7x will go on sale from December 12 in the China market. Oppo K1 Ink Black color variant costs CNY RMB 1,599 (roughly Rs 16,500) for 4GB RAM/ 64GB storage. On another hand, the Oppo A7x Fog Pine Green Color has been priced at CNY 1,999 (roughly Rs 20,600) for single 4GB RAM + 128GB storage model. The features of Oppo K1 new Ink Black color is identical to the standard version. It comes with a 6.4-inch FHD+ AMOLED display, 19.5:9 aspect ratio, octa-core Qualcomm Snapdragon 660 processor, 4GB RAM, 64GB storage, under- display fingerprint scanner, water drop - shaped display notch. Android 8.1 Oreo OS and 3,600mAh battery. On the rear side, it gets a 3D glass and gradient texture finish. In terms of lens, the Oppo K1 features dual sensors set up on the rear panel. It includes a 16MP primary sensor and a 2MP secondary sensor. Up front, there has a 25MP sensor for selfies and video calling. It supports 4G VoLTE, Wi-Fi, Bluetooth 5, GPS, GLONASS and dual- SIM. For photography, the Oppo A7x gets a horizontally positioned dual sensor on the rear set up. It includes a 16MP primary sensor and a 2MP secondary sensor coupled with an LED flash for low- light conditions. Up front, there is an 8MP selfie snapper coupled with Artificial intelligence mode. AI-powered features are also available on the rear camera set up. Oppo says that the phone is capable to detect up to five different scenes with the help of AI. As a part of the software, the Oppo A7x runs on Android 8.1 Oreo layered with ColorOS 5.2. It is armed with a 4,230mAh battery. To unlock the device, it comes with face unlock as well as the physical fingerprint scanner.